I can understand their fun. I vote for Tomatiña Baseball. There’s something suspicious about the way the tomato juice is a different color then the tomatoes. Could Millie be lying about what she’s pitching? And if so, why fill water balloons with tomato juice when you can just pitch the tomatoes? 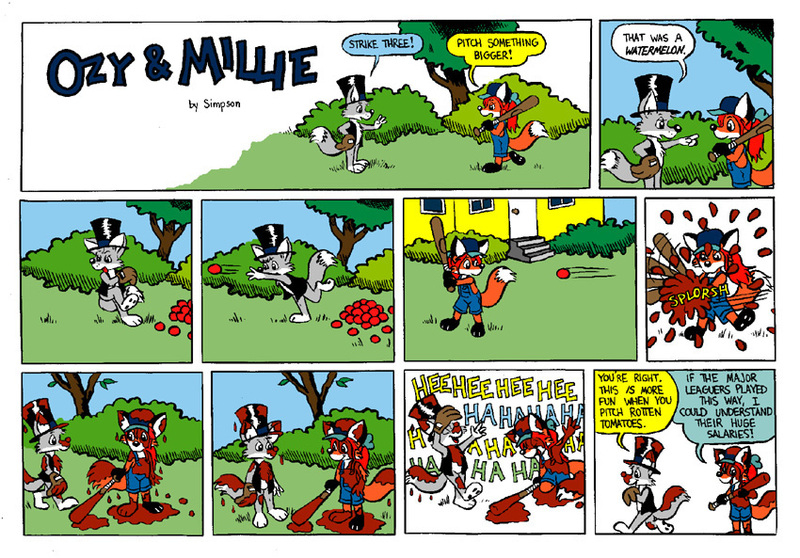 If you seen only the first thjree panels on the bottom, you could have imagined something very disturbing has happened. Even then the salaries would be insane.